Callista means the "most beautiful" and Dea is "Goddess". How perfect for the first grulla Moriesian in the world! Callista represents a vision and a dream come true for us. 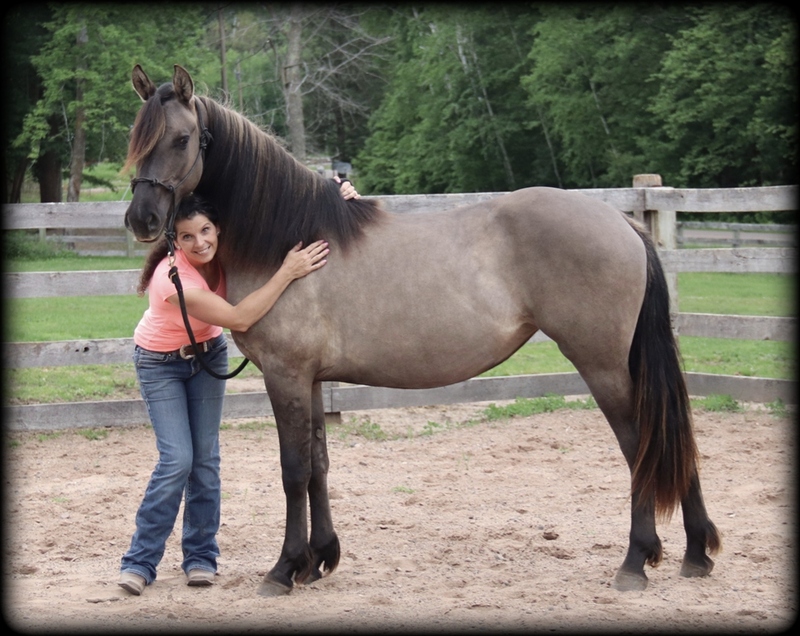 She is the first Grulla Moriesian in the world! 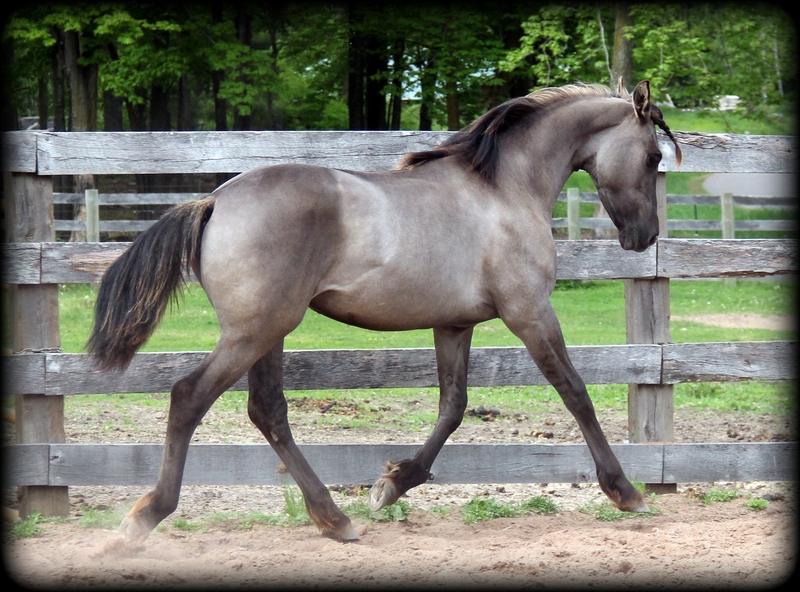 She is an amazing cross that exemplifies the qualities of the Morgan and the Friesian. Not only is her exotic beauty and color amazing. . . her movement and athletic ability is excellent, and her "In Your Pocket" temperament will steal your heart. We are excited to see her mature. My plan for Callista is to be my personal riding horse and possibly raise foals in the future. Please visit our "Moriesian Page" for more information about the Moriesian breed. 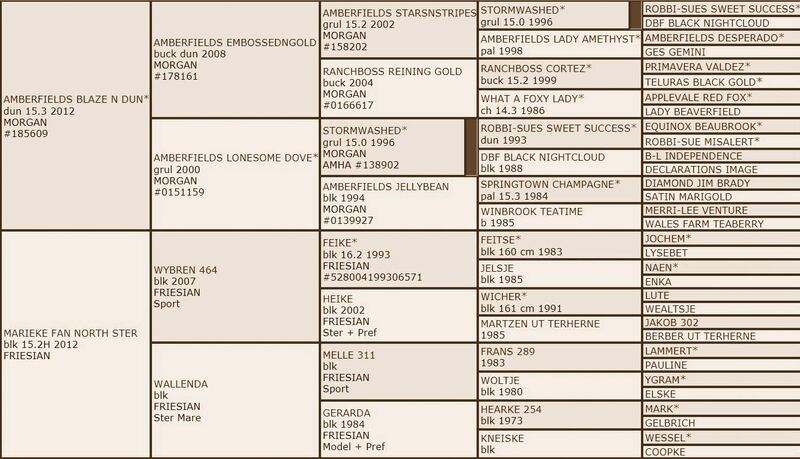 We are honored to share that Callista is the first grulla Moriesian in the world that we are aware of and the only one registered with the Moreisian Horse Registry. 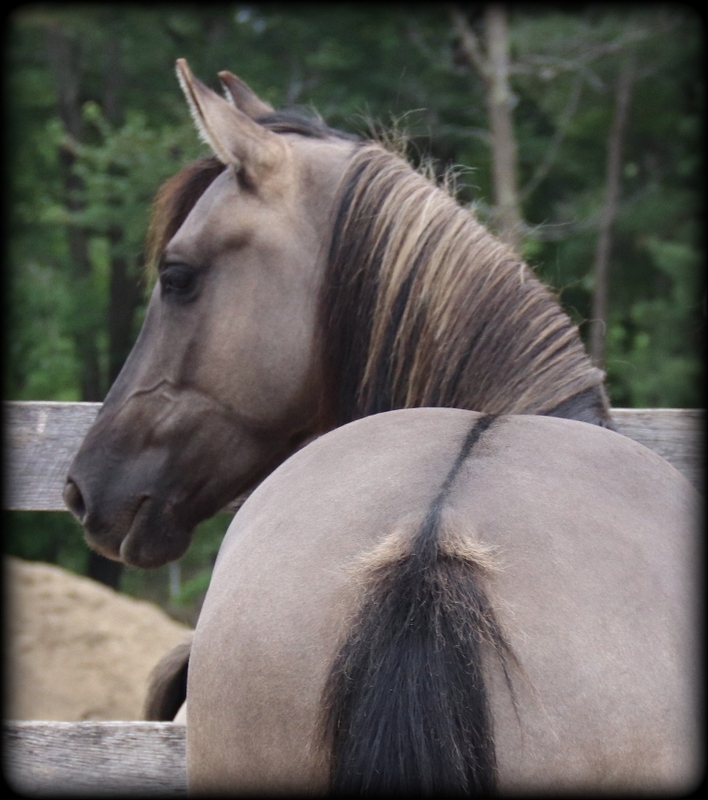 Visit the "Moriesian Horse" page to learn more.